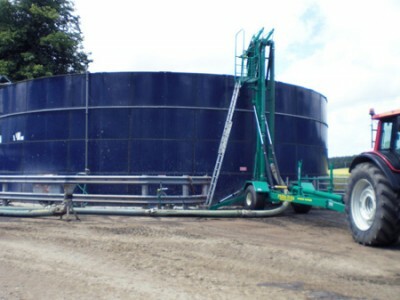 Above ground slurry stirrer with 21ft high towers. Self-contained one man operated chopper at the bottom and 2 high pressure jets to break the crust and dead bury at the bottom of the pit. 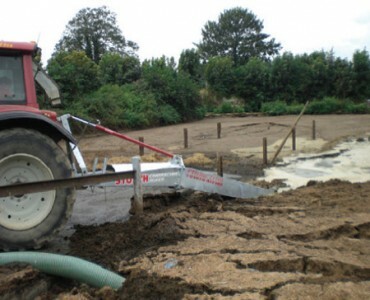 Able to move sand and paper and wood shavings. 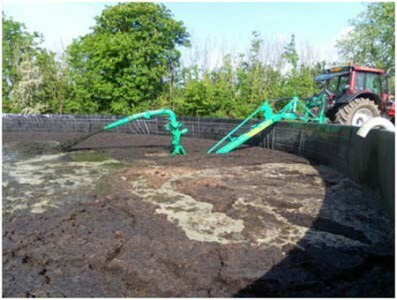 Can also load tankers from an 8 inch outlet if outlets are blocked on your slurry store with this. 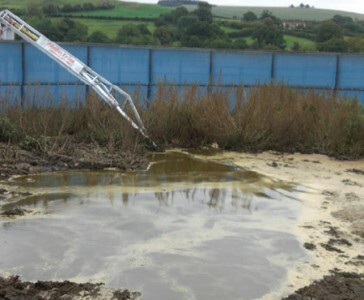 Lagoon stirrer of 21 feet long with copper and a high powered jet achieving to break up a crust of 1 metre thick.